Spring is on it’s way! It seems like winter has been here forever but there are signs that spring is coming. 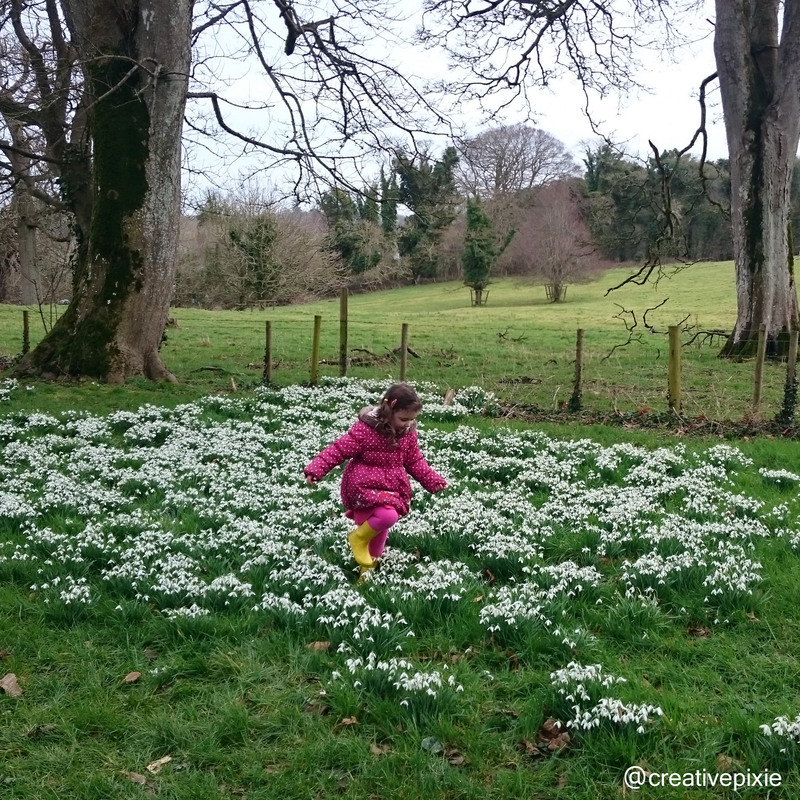 On a dry Tuesday over half term we decided to go out and make the most of the Northern Ireland countryside and take a picnic along too. We had not visited Castle Ward (a National Trust property) since last years Pumpkinfest since it had reduced opening hours over the Winter. Even though it was the school holidays the place was actually very quiet, but that made it all the more relaxing. We walked through several tunnels, had fun hearing our voices ECHO…ECho…echo. 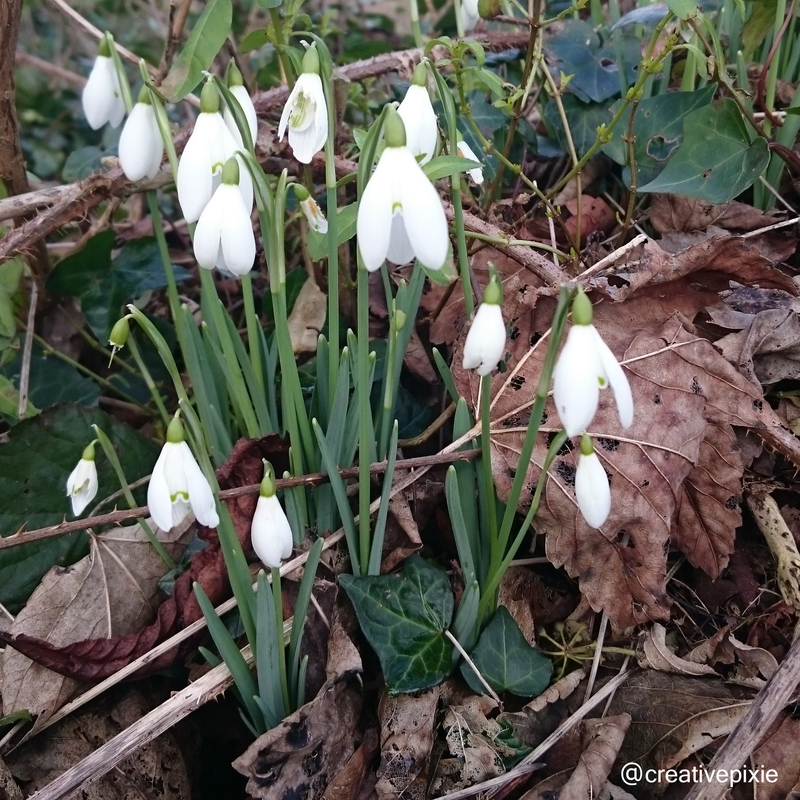 When we came out the other side we saw loads of snow drops. Miss E enjoyed running through them (being careful not to stand on them of course). 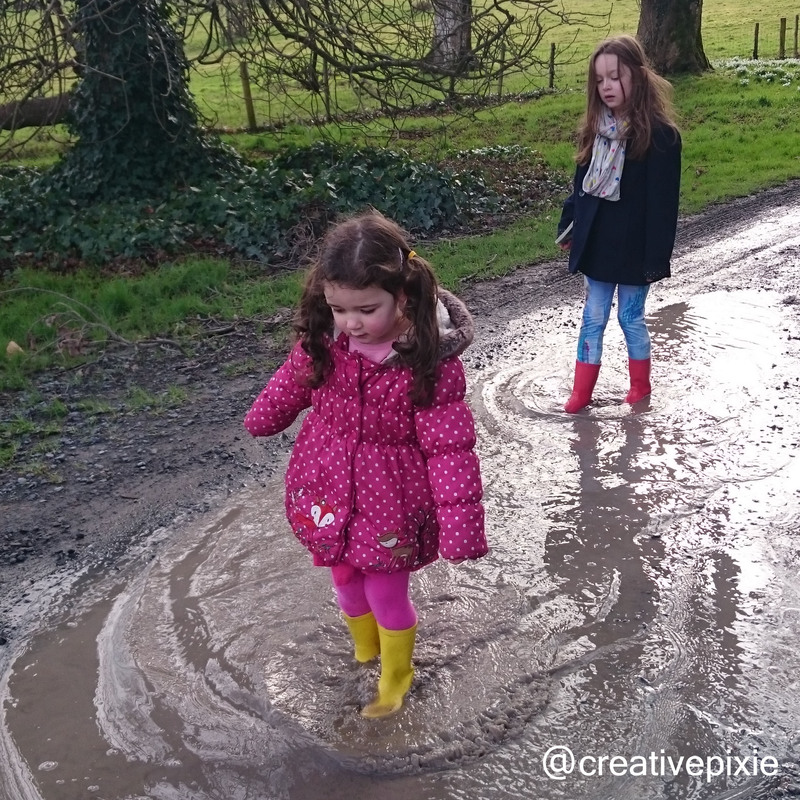 We carried on with our dander through the woods, the girls were thrilled to find this puddle, I was glad I insisted on them wearing their wellington boots. We then made it down to the courtyard where I knew there were picnic benches. 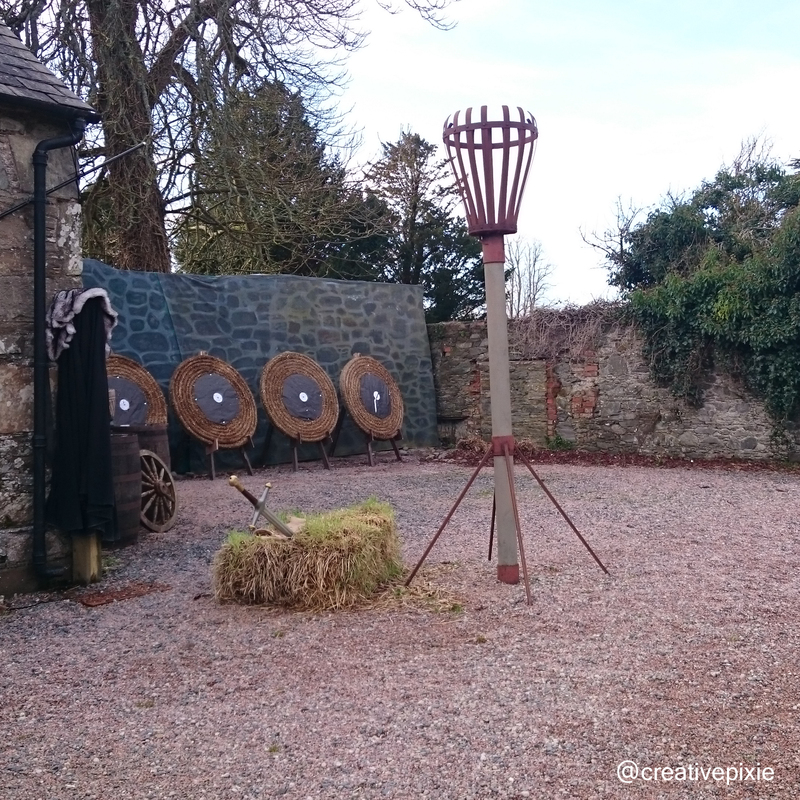 The courtyard location is where Game of Thrones is filmed – If you watch it this is where Winterfell is set. If you’re a fan it even provides a Game of Thrones experience by providing archery lessons. We sat down and had our picnic while watching a father and son have a go at the archery – they really got into it, wearing fur lined capes and competing with each other. After lunch it was time to make the walk back up the hill, pausing occasionally to catch our breath and admire the scenery. The reward when you get back to the top is the 2nd hand book shop, gift shop and tea room. Oh that cup of tea is so satisfying after being out in the fresh air. Any of my fellow NI bloggers have recommendations for a day out? We hope to make the most of our National Trust membership this year and visit a few more of our ‘local’ properties/grounds. What a wonderful outing! 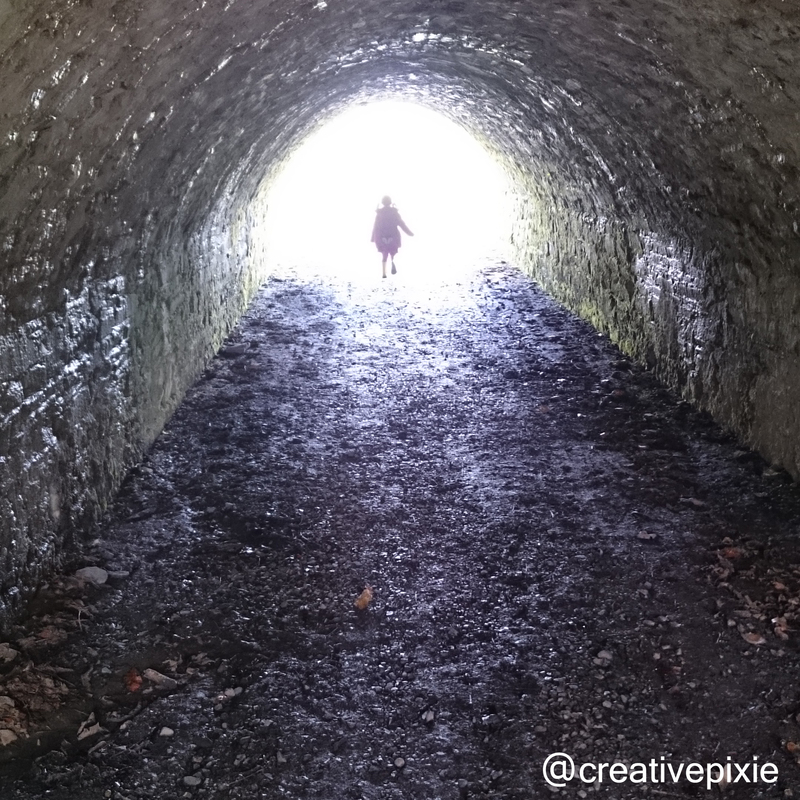 I love the photo of the child in the tunnel! What a lovely day! And here there is still snow on the ground, despite the all day rain. Enjoy those castle visits. It looks like such fun.